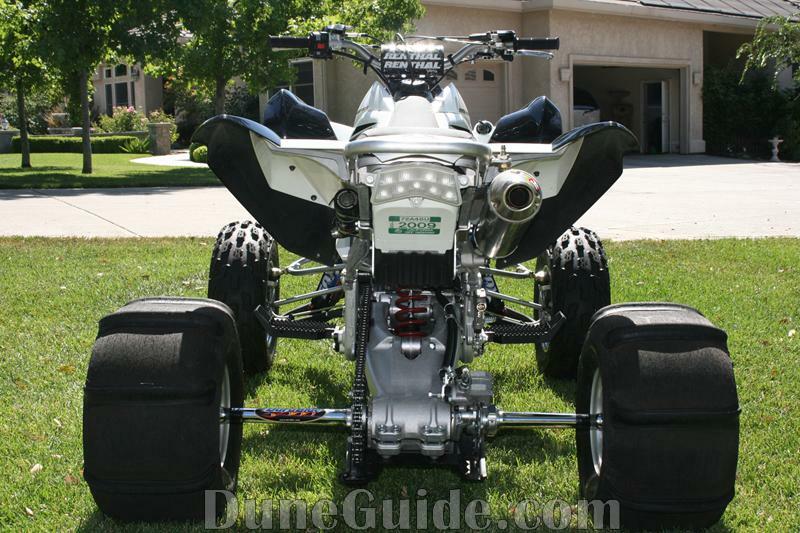 The KFX450R front chassis design is a single box-tube lower frame that contains the front A-arm attachment points. 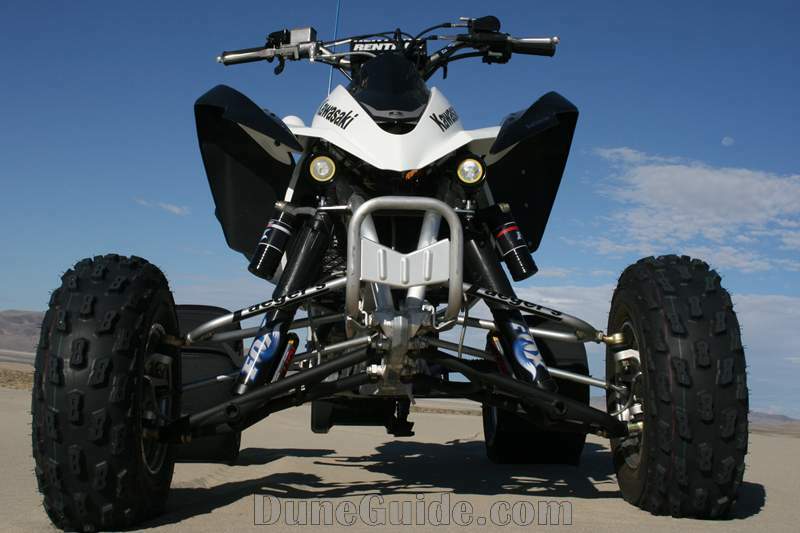 This design is very similar to the popular 250R Roll Design narrow front end. Although the stock width is only 46", the narrow frame enables the use of longer lower A-arms. 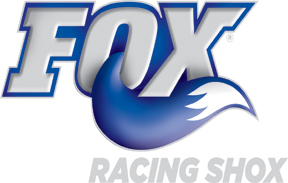 This is a great starting point for aftermarket arms and shocks. What is included in a "Long" Travel Kit? A-Arms or Control Arms - Most arms are made from chromoly and come powder coated. Some choices in color are available. 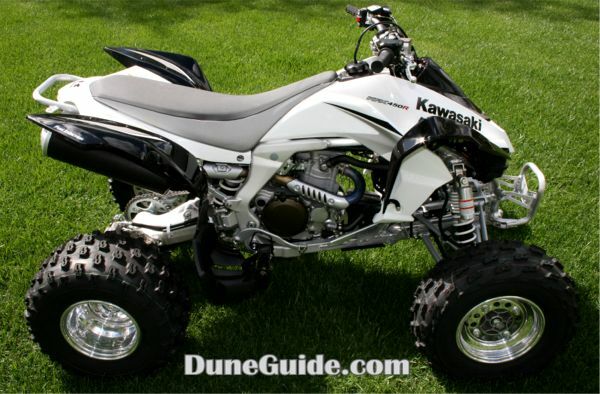 Some manufacturers have different types of arms for recreational use, MX racing, desert racing and also long travel racing. Recreational arms typically don't have as much gusseting and most do not have caster adjustment and are therefore cheaper. Match your riding style, terrain and budget with the type of arms that make most sense for you. A-Arm Hardware - Inner and outer a-arm hardware is sometimes reused and sometimes replaced. Reusing parts saves money, but usually isn't as strong. There are pluses and minuses to each type of setup and quality can vary, so ask questions. 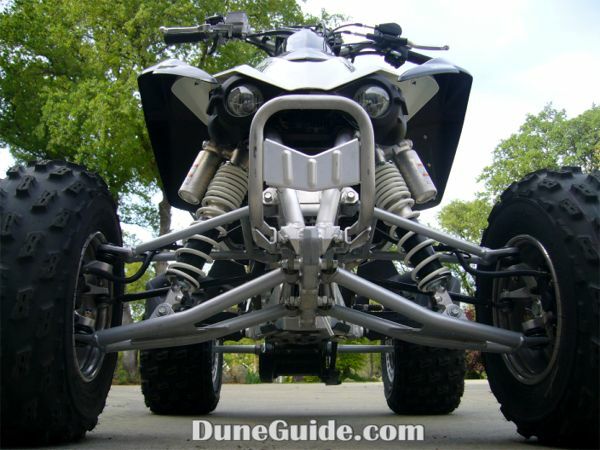 Tie Rods - Most kits come with new tie rods. Shocks - Some kits use stock length shocks and others use longer shocks. Longer shocks will give you more travel and a better ride, but also cost more. 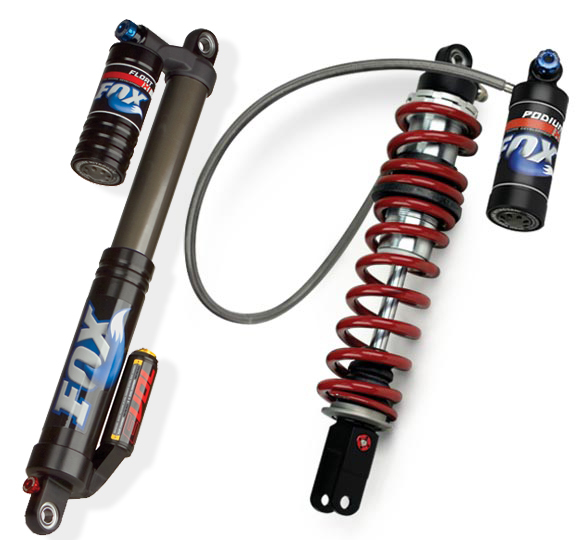 Stock shocks can often be revalved and resprung for your specific weight and riding style & terrain. 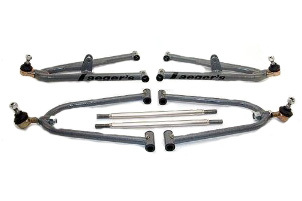 Spindles - Some top of the line kits come with new spindles that increase strength and add clearance for more travel. These are mostly for guys that are sponsored racers. 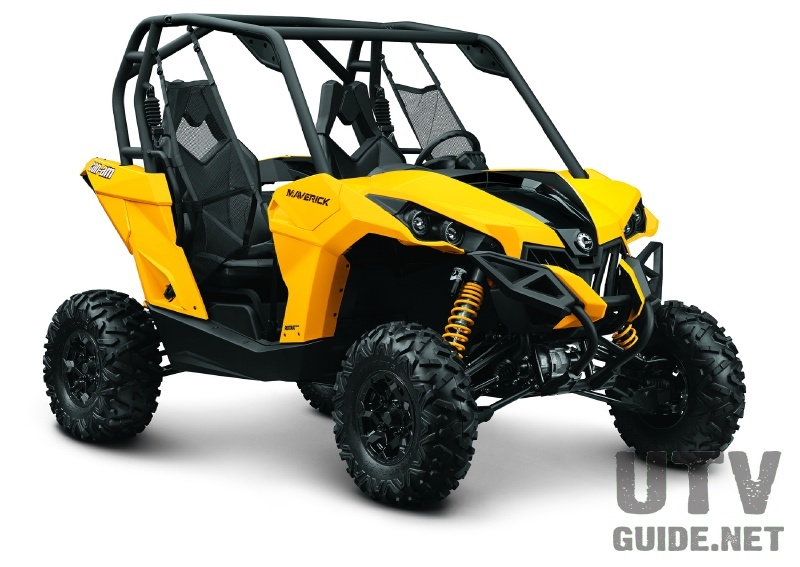 If you manufacture or sell suspension parts for KFX450R's, and are interested in having your product be part of the KFX450R Buildup, please send us an email. If you manufacture chassis and/or suspension parts for KFX450R's and are not on this list, please send us an email, and we will get you added. A link back to www.DuneGuide.com is always appreciated. 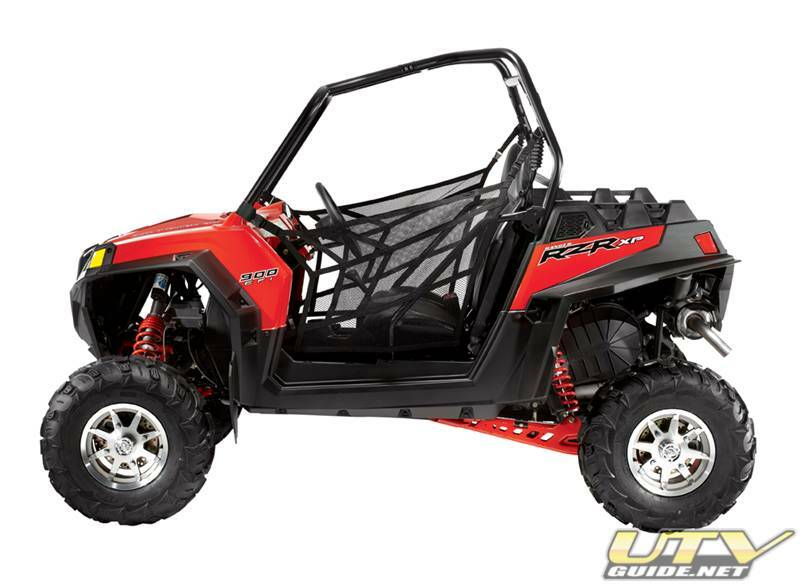 What makes an ATV shock a "long travel" shock? 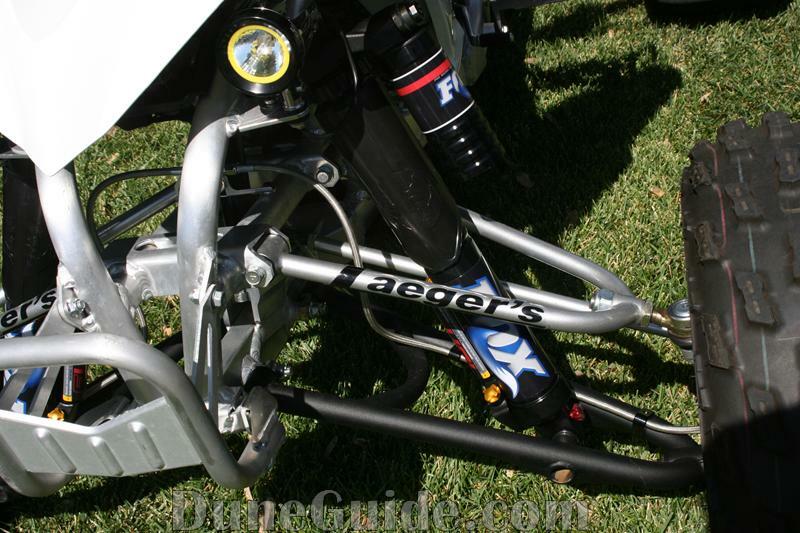 Most long travel a-arms are built with the lower shock mount moved out towards the wheel and under the lower arm. By doing so, you can fit a shock with a longer body and more shaft travel. 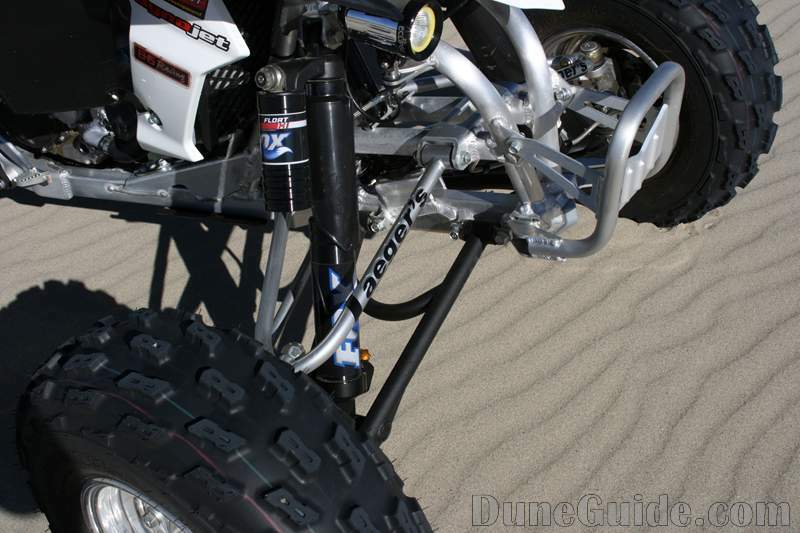 Many aftermarket a-arms are wider than than stock, but do not move the shock mount location. 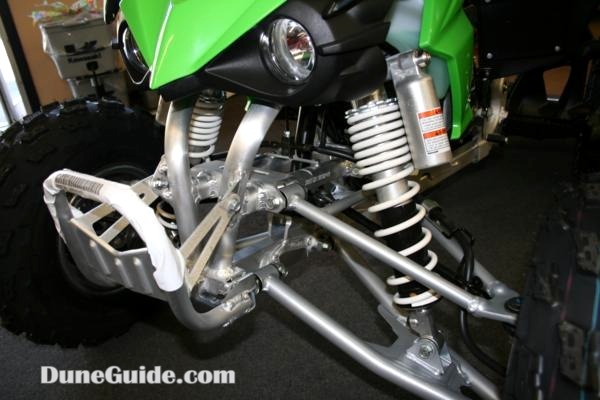 By doing so, stock length shocks can be used with some revalving and new springs. This can reduce cost while still providing extra stability and a better ride.